For those who desire straight teeth but want to avoid traditional metal braces, Legacy Dental offers Six Month Smiles®. Six Month Smiles® is an orthodontic device that utilizes clear braces and tooth-colored wires to properly align your teeth within an average time of six months. This allows patients to obtain orthodontic treatment that is both discrete and effective. Six Month Smiles® uses a short-term approach to orthodontics that maintains similar retention rates as do fixed and removable long-term orthodontic methods, such as traditional braces and clear aligners. You may be a candidate for Six Month Smiles® if your teeth are improperly spaced, misaligned, or crooked, and you wish to correct these issues quickly. To find out for sure if Six Month Smiles® is the right orthodontic treatment for you, schedule a consultation with Legacy Dental today! The average treatment length for most patients is six months, however actual treatment can range anywhere from four to nine months. This is still much quicker than the usual orthodontic timeline of one to two years. Is Six Month Smiles® expensive? The cost of your Six Month Smiles® treatment will depend upon your individual treatment, however Six Month Smiles® is usually cheaper than traditional braces or clear aligners. In some cases, you may also be able to obtain partial coverage through your dental insurance. Legacy Dental also offers payment plans to allow you to get the care you need. What can I expect during treatment with Six Month Smiles®? Your treatment will begin with a consultation where our dentists will evaluate your teeth and discuss your treatment goals. Then your braces will be put on your teeth and your teeth will begin to move into the proper alignment. Depending on your individual case, you will require approximately 3-7 adjustments over the course of your treatment. During treatment with Six Month Smiles®, you will also need to avoid eating foods that can damage your braces. These include any foods that are excessively hard and chewy, such as nuts, popcorn, pretzels, gum, and hard candies. You will also want to brush after meals to remove food that may have become stuck in the brackets or wires. After the initial placement of your braces and after adjustments have been made, you may feel some mild discomfort for a day or two. However, this can usually be easily remedied by eating soft foods and taking over the counter pain medications, if needed. Other than that, few patients report feeling pain during their treatment since Six Month Smiles® exerts less force on your teeth than traditional braces. What can I expect after treatment with Six Month Smiles®? 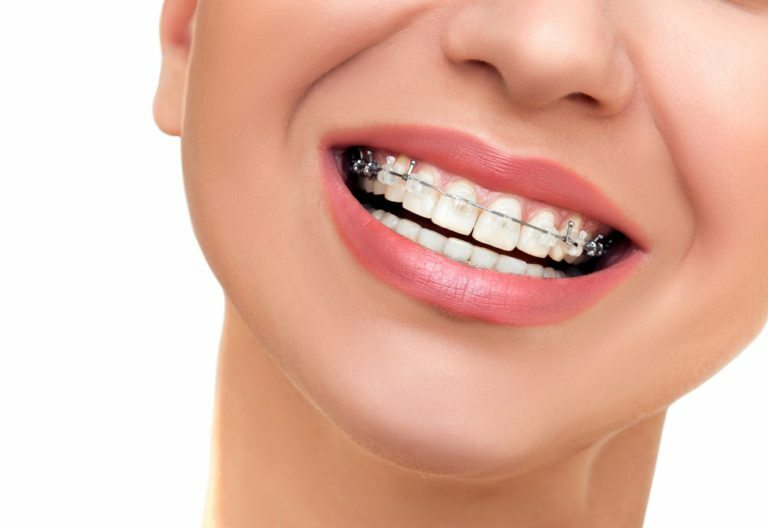 After your treatment is complete, your braces will be removed and you will receive a retainer. Our dentists will provide you with information on how often to wear your retainer, but usually you will be expected to wear it full time for a few months, then eventually wearing it only at night. It is important to follow these instructions to ensure your teeth stay in the correct position after the braces are removed.